While, to be fair, there is documentation on this process, I’ve found that it tends to not really… work. So I’m throwing in my attempt at documenting how to add various Linux flavors to an Active Directory Domain, with massive research assistance from Rob. Right off the bat, I assume that the domain exists, that the Linux box is on the same network as the AD Controller, and that the AD Controller is also serving DNS. With that said, let us begin. 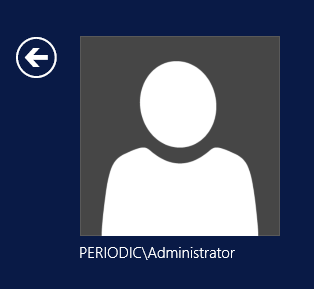 So my workgroup is PERIODIC, hostname is nitrogen, and domain is periodic.table. This will be needed later. First off is a few installs. Next is to set DNS to resolve from AD. This can be done a few ways, so I won’t really cover it aside from saying that for me it is an extra line in /etc/network/interfaces in the block where I set a static IP. On Ubuntu 18, it will probably be under /etc/netplan. The caps are important, make sure to match them. This is a very basic config, it can easily get more complex. And finally, we can attempt to join the domain. You can confirm that authentication is working by signing into an AD account, or by running getent passwd and seeing if the new users have been added. While authenticating should work, the default shell should be set to /bin/false. Settings policies that control default shell and home folder are dependent upon AD configuration. The article here details how to handle this.